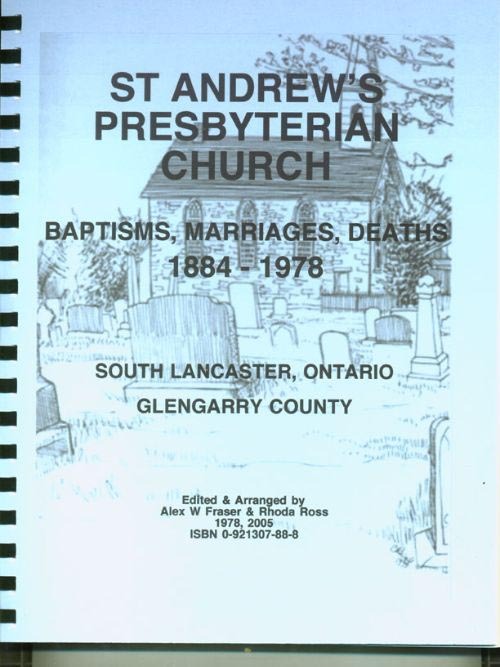 GPSSV = A Glengarry Prescott Stormont Soulanges Vaudreuil County family genealogy book Page. 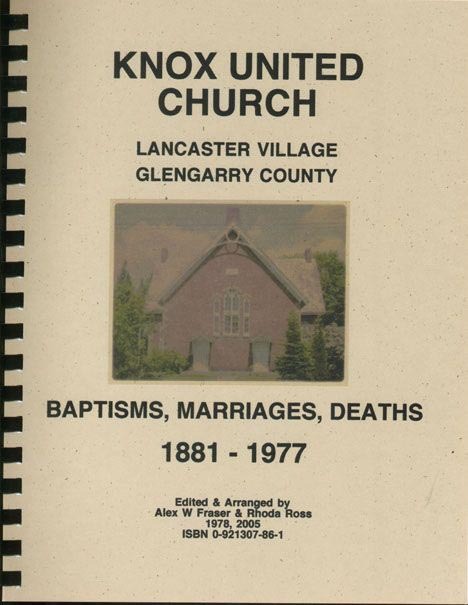 with the 4 new books on Glengarry Area Church BMD 1833-1977, Salem, Summerstown; Knox, Lancaster; St Andrews, S Lancaster; St Andrews - 2nd Conc., Bainsville, Ont. 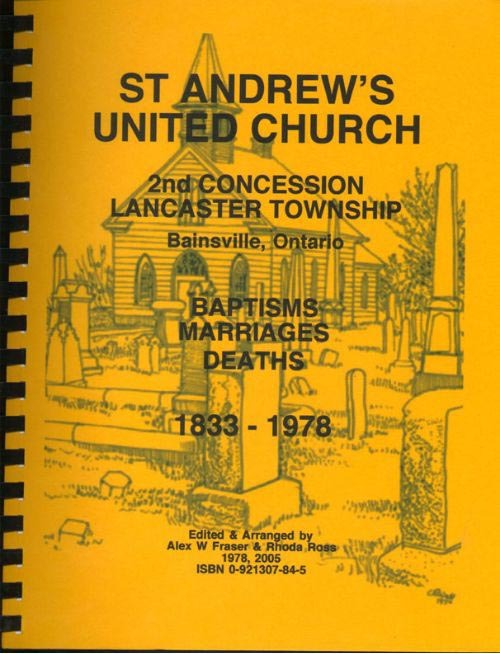 Who holds the 1840s records of St. Andrew's Presbyterian South Lancaster? US orders Cat# 2094 $75.00 US hardcopy shipping & handling included, click on "add to cart"
US orders Cat# 2095 $85.00 US hardcopy shipping & handling included, click on "add to cart"
US orders Cat# 2096 $85.00 US hardcopy shipping & handling included, click on "add to cart"
US orders Cat# 2097 $75.00 US hardcopy shipping & handling included, click on "add to cart"
consisting of over 9000 entries is available on CD. 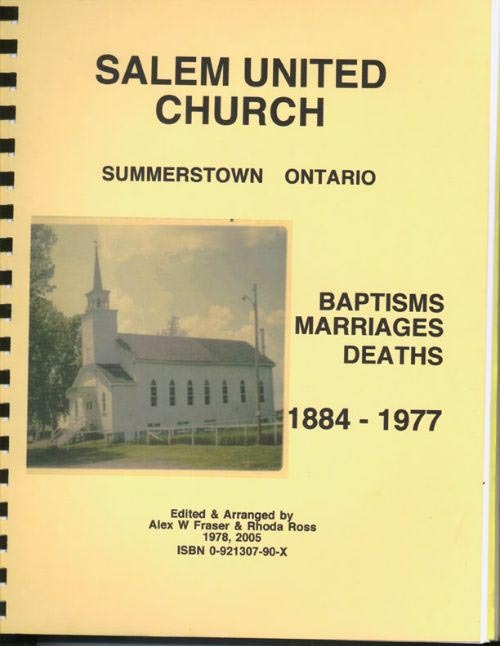 This Information is listed under 13 categories;- namely Surname, Christian, Event, Year, Month Day, Age, Name of Father, Name of Mother, Name of spouse, Location, Reference, Death Cause, Notes. 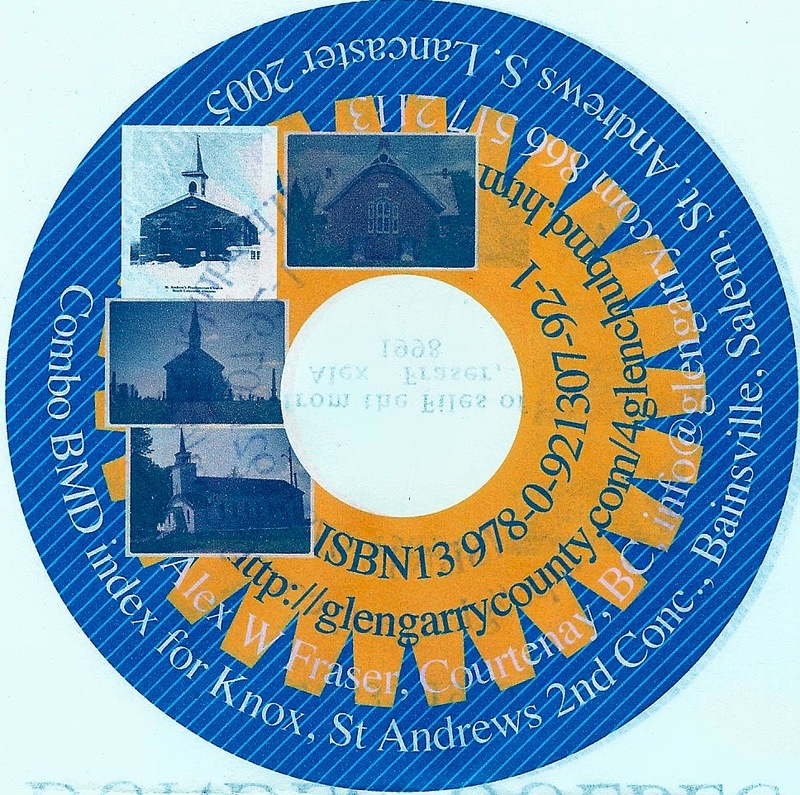 US orders Cat# 2098 $90.00 US CD copy, shipping & handling included, click on "add to cart"
Kindly allow sufficient time for processing and shipping of order.